Experienced Los Angeles Periodontist with over 15 years of experience. All-on-four is a remarkable technique that can replace all of the teeth on the bottom or top of the mouth with just four dental implants. All-on-6 is very similar to the All-on-4 procedure but more complex. When more extensive reconstruction is necessary, All-on-6 may be recommended. n some cases, the bone of the jaw must be built up to support the placement a dental implant.If the jaw bone is too soft or thin to keep an implant in place, the implant surgery can fail. Dr. Delaram Hanookai DDS is a leading Sherman Oaks periodontist with a practice focused on dental implants and bone grafting. Delaram Hanookai believes that dental implants can transform her patients' lives by seamlessly replacing lost teeth, restoring the ability to eat and speak, and giving patients the comfort they need to smile freely. 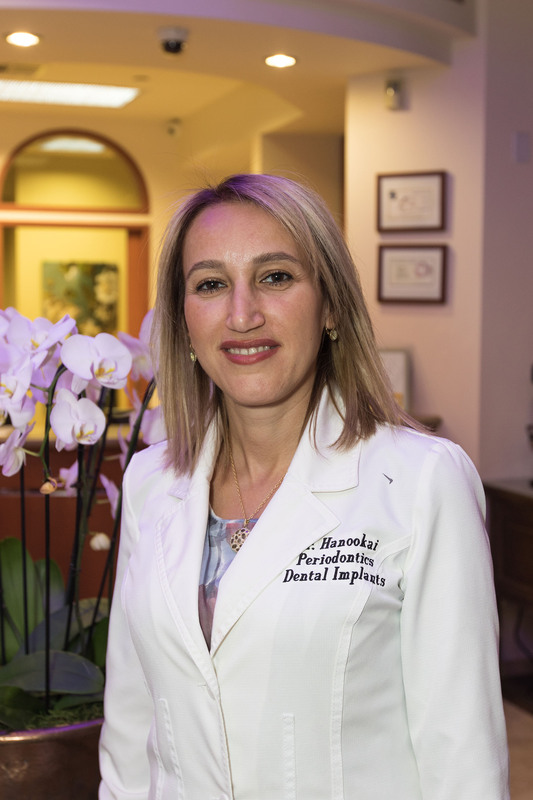 Delaram Hanookai DDS has made a name for herself in the Sherman Oaks dentistry community with an established history of excellence in advanced dental surgery. Prior to entering private practice, Dr. Delaram Hanookai received the prestigious California Society of Periodontology Award for her surgical skills. She earned her doctorate in dental surgery from the University of Southern California with a specialization in implantology and periodontics. She later earned her Master of Science degree in craniofacial biology from Cal State Northridge, where she was honored with a position on the dean's list. Dr. Hanookai has shown a dedication to perfecting her skills and best serving patients with continued education. She has pursued advanced training at the Misch Implant Institute to expand her knowledge of advanced dental implantology. Dr. Hanookai has also been accepted as a Fellow of the International Congress of Oral Implantologists (ICOI), one of the most respected dental associations in the world. Periodontists are dentists who specialize in the diagnosis, treatment, and prevention of periodontal disease. Periodontists are also experts in the placement of dental implants. Becoming a periodontist requires extensive training, including three years of training in addition to dental school. Along with typical cases of periodontal disease, a Los Angeles periodontist can treat more severe periodontal cases, including serious gum disease, scaling and root planing to clean the surface of the root, root surface debridement to remove damaged tissue, and more complex placement of dental implants, such as all-on-4 or all-on-6 dental implants. With more than 15 years of experience as a periodontist in the Los Angeles area, Dr. Delaram Hanookai DDS has the training and knowledge necessary for even the most complex cases. Dr. Delaram Hanookai DDS believes in a team approach to dentistry. This approach can be seen in every aspect of her dental practice with every staff member dedicated to providing the highest quality of care using the most advanced dental technology and strategy. Dr. Hanookai is also a firm believer in sedation dentistry, which she uses to help her patients relax during their appointment. 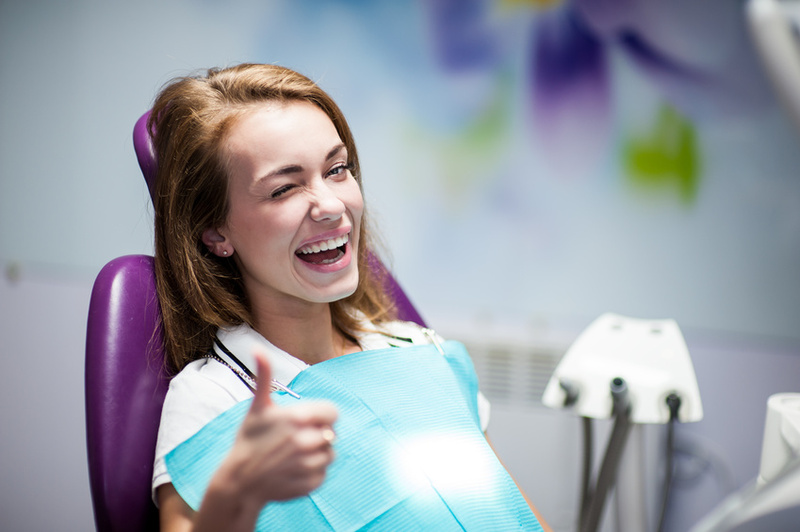 If you have a fear of the dentist or you are worried about pain, Dr. Hanookai will use the appropriate form of sedation to ease your concerns and allow you to simply sleep until your treatment is finished. One of the most important roles of a periodontist is the fight against gum disease. Dr. Hanookai offers non-surgical treatments such as scaling and root planing to clean the root surface of the teeth. Dr. Hanookai employs laser dentistry in this procedure for greater comfort. With minor to moderate cases of gum disease, non-invasive measures may be sufficient. When periodontal disease is advanced, minor gum surgery may be required. In extreme cases, gum disease can actually erode the jaw bone and cause damage to tissue supporting the teeth. Dr. Hanookai is highly skilled in bone and tissue grafting to help reverse the damage and preserve teeth. Dental implant surgery represents a cornerstone of the dental practice of Dr. Delaram Hanookai DDS. Dr. Hanookai has received continuous training to offer her patients the most advanced dental implant procedures available with a high success rate. Dental implant surgery has the power to not only improve a patient's health but transform their life. Dental implants are considered the next best thing to natural teeth. Unlike crowns and bridges, implants actually protect healthy bone in the jaw to avoid the bone deterioration that naturally results from missing teeth. Dental implants are built to last a lifetime and restore not only appearance but the function of natural teeth. Dental implants look, feel, fit, and function just like natural teeth when they are placed by an experienced periodontist like Dr. Hanookai. Implants can last a lifetime when properly placed. Traditional bridges only last for 5-10 years, by comparison, while crowns can come loose. Dental implants are permanent. You will never worry about your teeth coming loose or falling out when you are eating, talking, or smiling. Implants can retain the shape of your face and smile. Missing teeth can cause your face to sag or appear sunken. Dental implants protect health jawbone. When you are missing one or more teeth, your jawbone can begin to deteriorate and soften. Dental implants are the only dental solution to preserve and even stimulate natural bone growth. Tooth loss, bone disease, and gum disease affect millions of adults in the United States. If you are missing several teeth, suffer from extreme tooth decay, or you have lost most of the teeth on your upper and/or lower jaw, you may be a good candidate for a remarkable new procedure. All-on-4 is a dental implant procedure that replaces all of the teeth on the top or bottom of your mouth using just 4 implants rather than one implant per tooth. Dr. Hanookai uses only 4 titanium implants that are precisely placed to fully support a single bridge for the upper or lower jaw. This procedure is a proven and cost-effective solution to restoring your smile and the function of your teeth without dentures that fall out, fail, or make it difficult to eat or speak. All-on-6 is a similar but more complicated procedure that uses 6 dental implants. Dr. Hanookai will decide whether All-on-4 or All-on-6 is more appropriate for you based on your general health and the placement and number of missing teeth. You may be surprised to learn that All-on-4 is a minimally invasive and life-changing solution that does not require bone grafting because the posterior implants are titled to use available bone. The use of tilted implants also means a shorter treatment time and a fixed prosthesis that can be placed the same day as surgery. If you are concerned about gum disease or you're ready to restore your smile and get rid of unpleasant dentures or other solutions that aren't made to last, contact Dr. Hanookai today to schedule your appointment. As a leading Los Angeles periodontist, you can expect the best in quality care with a focus on friendly and compassionate service. Copyright © 2017 Dr. Delaram Hanookai DDS.